Combat is all you know. You were born for it, raised in it, and you rejoice in it. At least, you do when you wear the Carnal Green Orc Mask. That is when your monstrous side awakens, and you yearn only for the rush of battle! This full face Orcish mask is made from 100 percent high-quality latex. It has been crafted to realistically resemble the wrinkled green skin that people associate with orcs. The ears of the mask are tall and pointed, and the nose is flat. The mask lacks a mouthpiece, allowing you a higher degree of expression and speaking capability while wearing it. 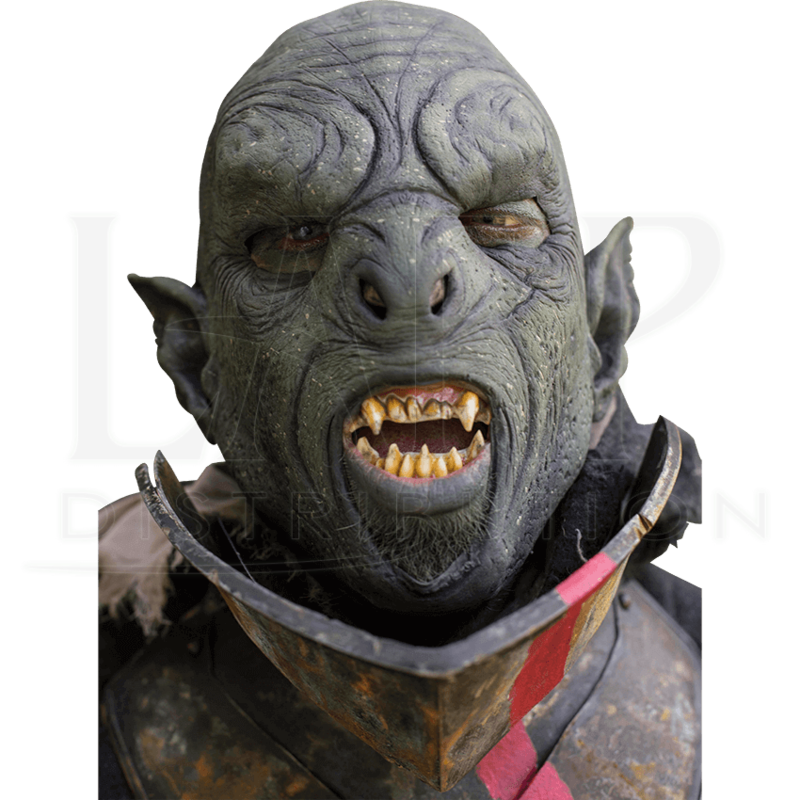 Complete your Orcish cosplay or LARPing outfit today when you choose this incredible latex FX mask!